OPINION — The title of this piece was supposed to be "Where All the Polar Bears Have Gone Come From?" However, the strike-through doesn't work in titles on San Angelo LIVE! The sea ice is melting, the oceans are rising, climate change is causing hurricanes to be more frequent and more powerful, and I have a bone spur on the ball of my left foot that’s driving me nuts. Actually, not all of that is entirely true. Or at all true. I do have a pretty bad bone spur, though. Last week the global elites met in Davos, Switzerland to see if they couldn’t find a decent restaurant and maybe pick up some chocolate to take home. They were there for the World Economic Forum. You, of course, weren’t invited, because you’re neither rich enough, nor important enough, nor elite enough. But mainly it’s the rich part. Tickets for the event cost $60,000. Each. You may wonder what goes on at such a grandiose symposium. Not much. People who know a lot about climate change, such as actors and politicians, give talks and pat one another on the back. The WEF is focused almost entirely on climate change, since that’s the biggest threat to life as we know it today. They had David Attenborough make a speech about it. Because he’s an expert. He became an expert on climate change through acting. Also being rich. Now, as you might expect, when elites get together to discuss how to save the planet from global warming, everyone attending flies commercial, or takes the bus. Which is what happened last week. I jest, of course. 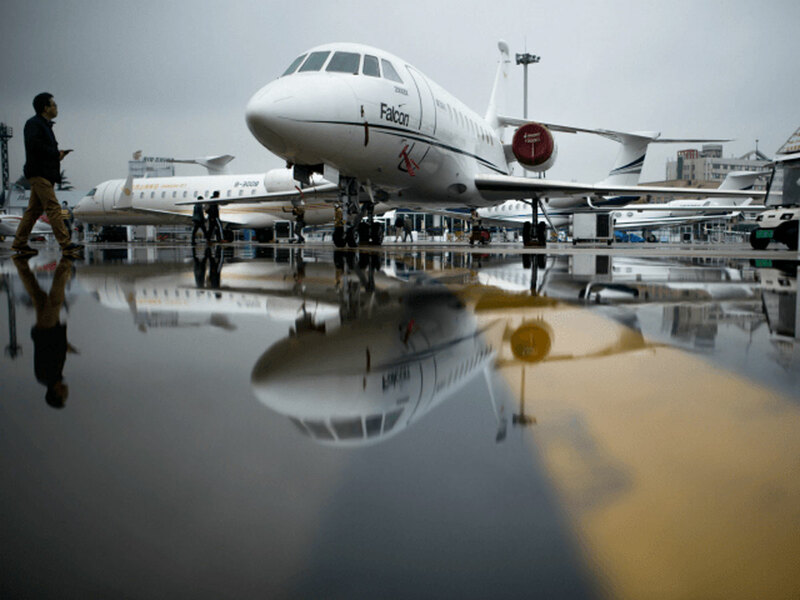 The WEF on climate change is the single largest event in the world, in terms of private jets flown in to attend. There were about 1,300 private jets at the event last year. This year, since climate change is even more important than before, around 1,500 private jets descended on Davos. There isn’t a local airport, so the attendees had to land their Gulfstream GVs and Bombardier Global Expresses at neighboring towns, and their elite, rich occupants were forced to endure the humiliation of arriving at the august meeting in rented limousines, if you can imagine. I can’t. But it seems the global isn’t warming the way the global used to be warming. A recent Forbes article, written by a fellow named James Taylor, but not THAT James Taylor, pointed out that NASA has determined that the polar ice is just fine, thanks very much. Of course, that doesn’t mean you can trade in your rock for a washing machine just yet. I’m vague on why, but Attenborough was pretty clear, in his speech, that the threat is not over. He said, “Right now, we are facing a man-made disaster of global scale. Our greatest threat in thousands of years. 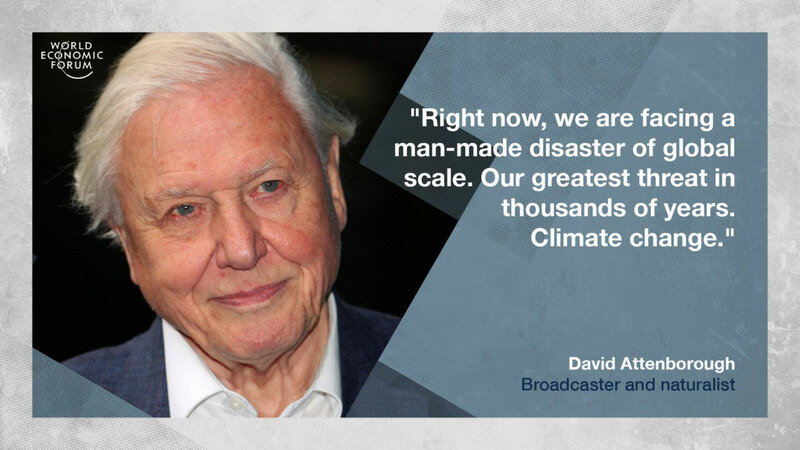 Climate change.” Attenborough seems to be a ‘glass half empty’ kind of a guy, if you ask me. The title of the Forbes story was, ‘Updated NASA Data: Global Warming Not Causing Any Polar Ice Retreat.’ Which you might think is good news, for climate change. You’d be wrong. See, according to the climate change crowd, if average temperatures are warmer, it’s because of man-made climate change. If average temperatures are cooler, it’s because of man-made climate change. If there’s no change in the climate, it’s because of climate change. You can’t win. But since NASA began monitoring the polar ice caps in 1979, the caps have not gotten any smaller at all. They’ve actually gotten bigger by five percent, according to NASA. Which is proof of climate change. Why not? The US Fish & Wildlife Service estimated there were 12,000 polar bears during the 1960s. There are only about 30,000 left now, and climate change is what killed them. Wait. I’m gonna need a minute. Eskimos, who actually live among polar bears, are now saying there are too many bears, and they’re getting more aggressive. But that’s probably because of climate change, too. Everything else is. In case anyone cares, my bone spur is getting bigger, too . . .
And Al Gore's ignorant sheople follow blindly to their deaths. During his vice presidency there were only a few loyal Global Warming enthusiasts. Now, yes due to Globular Worming's slitherings, there are multiples of millions of these witless wandering the earth. Someone told me that inevitably the population is going to grow beyond the natural resources of the planet. Others tell me there is more than abundance to support a lot more. think of Idaho, if you ever visited there. There are still a lot of wide open spaces in the world. Of course , it is always wise to conserve and take care of the gift you are given. So, some people look at the world with optimism or pessimism. Hitler was more about the Versailles treaty which was negotiated but felt like they got a raw deal. Germany is sandwiched within Europe, but at the current time they are still one of the most successful countries in the EU. German built machinery remains the best in the world. Still, there has to be some sort of point to all the crazy things in the world. Open ended questions. The world is still shaped in the after mass of Ww1 WW2. So yes, it had a devastating effect still. It is a great paradigm to overcome. Yet still the ideas of multi are not necessarily the fix all. For instance, my friend Michael used to mix his mash potatoes, green peas, n pork chops all together. He said what difference does it make? All going. I chimed in and said no.